[ERIE, PA- CINCINNATI, OH- FOR IMMEDIATE RELEASE- August 29, 1976] The Chesapeake, Wheeling and Erie Railroad and the Kanawha and Lake Erie Railroad today announced the signing of a run-through agreement which will allow trains to move across both railroad systems in an expedited manner. Entire trains of various commodities will be forwarded from one railroad to the other with minimal delay. 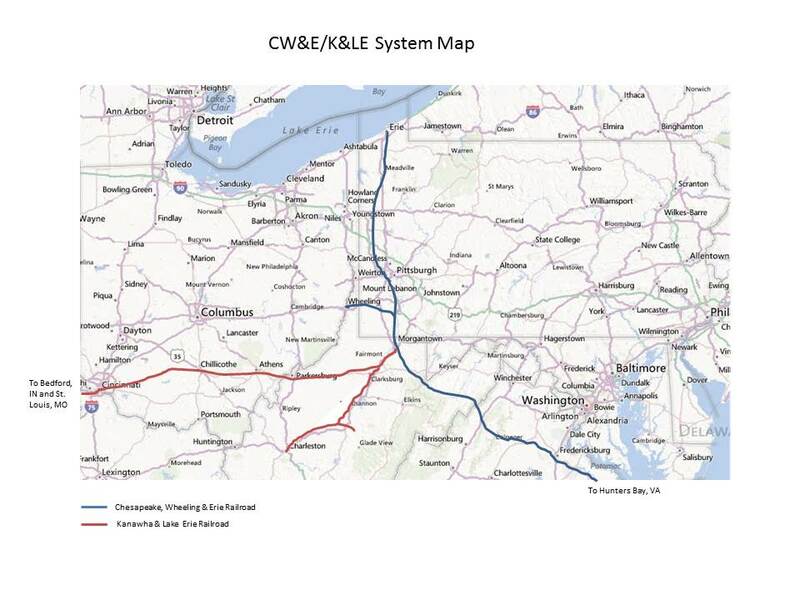 The map below shows the connection of the two railroads at Morgantown, WV and clearly shows the expanded geography served by the run-through agreement. John Miller, President and CEO of the Kanawha and Lake Erie Railroad, stated "This agreement will allow the K&LE and the CW&E to remain competitive in this era of rail line consolidation. Additionally, we will be able to provide improved service to all of the customers served by both railroads." The agreement is expected to take effect immediately. After weathering the decks of several home road flat cars recently, something didn't look right. Here's a photo of the finished deck. I'm trying to capture the washed out look of wood that's been exposed to the elements for a long period of time. I'm also trying to simulate the look of individual boards. 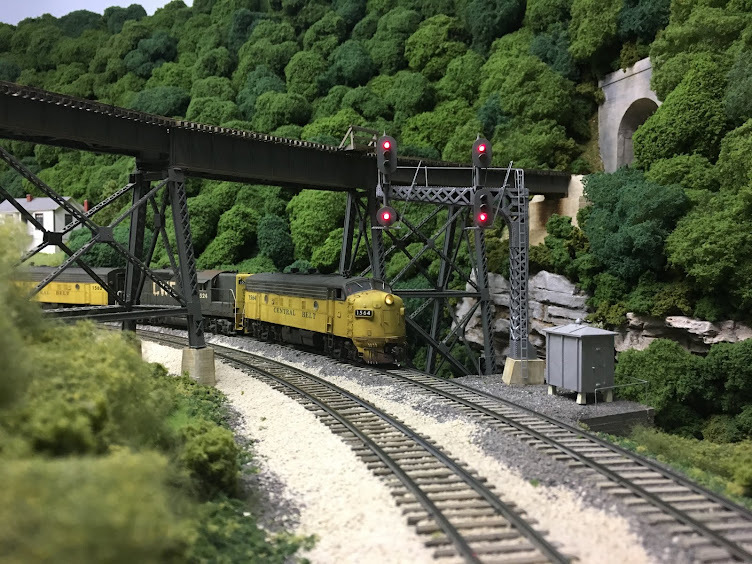 Joe Atkinson and Rob Spangler captured this look very convincingly in flat car photos that they submitted to this post on the MRH forum: http://model-railroad-hobbyist.com/node/14676?page=1. After looking at a number of photos, it became clear that this deck has too much grey in it and the grey is too dark. So I first dry-brushed Apple Barrel khaki colored craft acrylic paint on some of the boards that looked too dark. The addition of the khaki color was a definite improvement, but there was still something missing. Dry-brushing some FolkArt steel grey on some random boards finally got the deck close to the look I'm after. Here's a photo of the finished car. Some additional colors and washes could be added to get it even closer to the wash-out look of weathered wood. But for now, this car is headed back into revenue service.